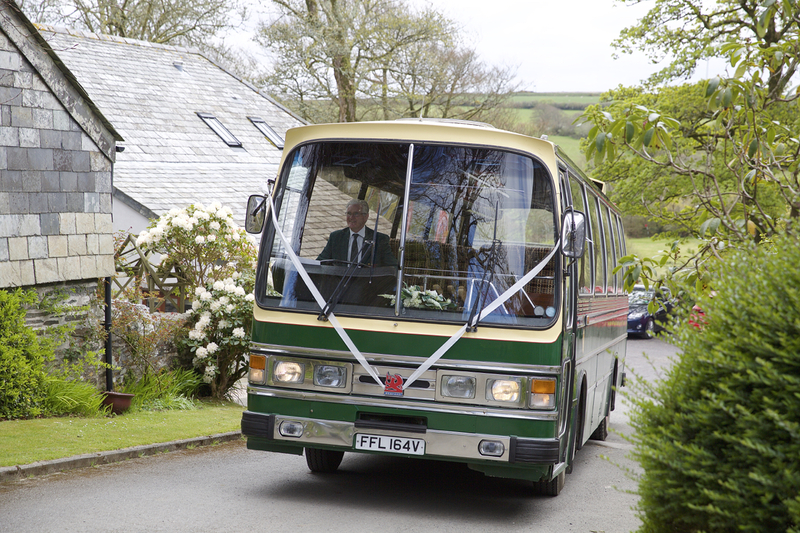 The day started with the arrival of the guests, who arrived in a vintage, Cornish bus that rumbled down the lane with wedding ribbon on the front. 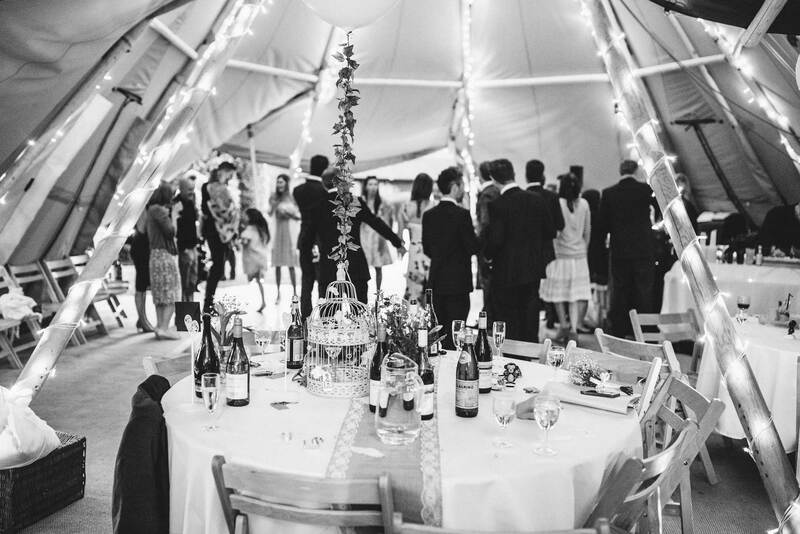 The guests then enjoyed Champagne and Canapés in Ta Mill’s paved yard with hay bales to sit on. 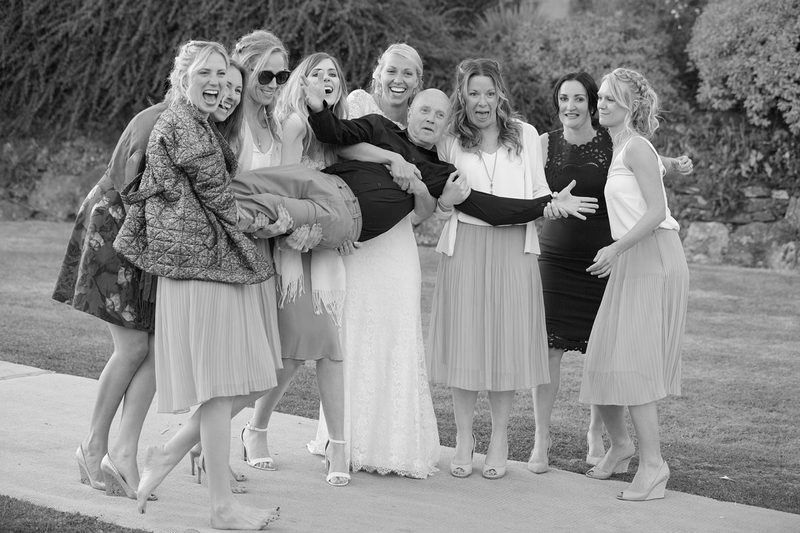 The bride looked absolutely stunning in her lace dress and bouquet of white roses. 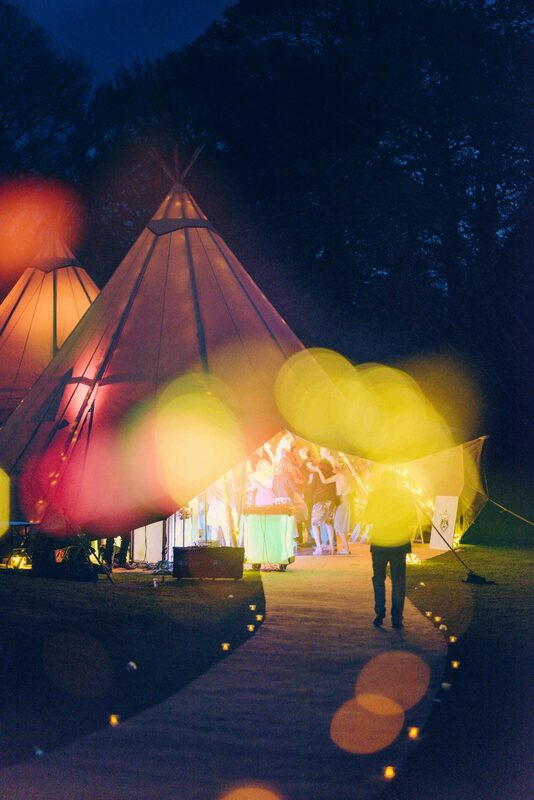 After the ceremony the bride and groom welcomed their nearest and dearest to celebrate with them in a wonderful Tee Pee Tent, supplied by The Cornish Tent Company that was lit with magical fairy lights wound around the tents rustic beams, creating a breathtaking atmosphere. 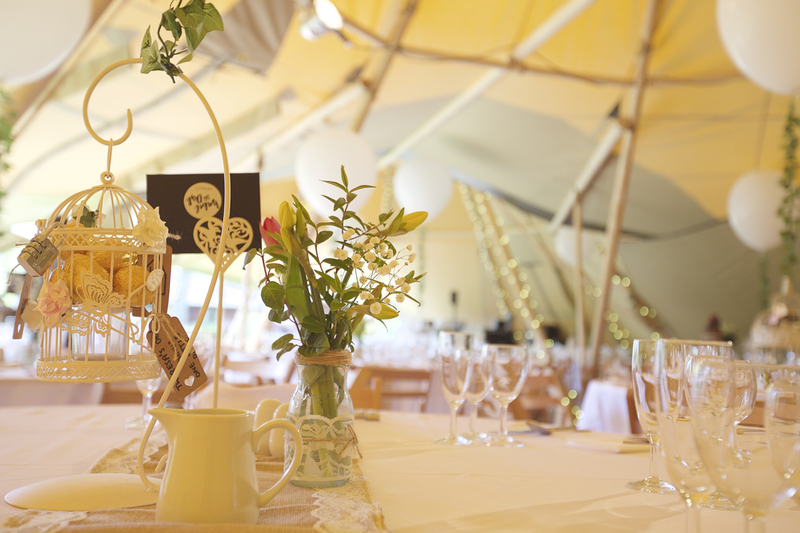 Each table was beautifully decorated with a jar of lovely wild spring flowers and white balloons strung by a garland of ivy. The most inventive and meaningful touch to the wedding breakfast, however, was, of course, the timeline that made its way throughout the tent, sharing their most important life events with their guests on each table, everything from when they first met in 2001 to their first trip to Thailand in 2004. 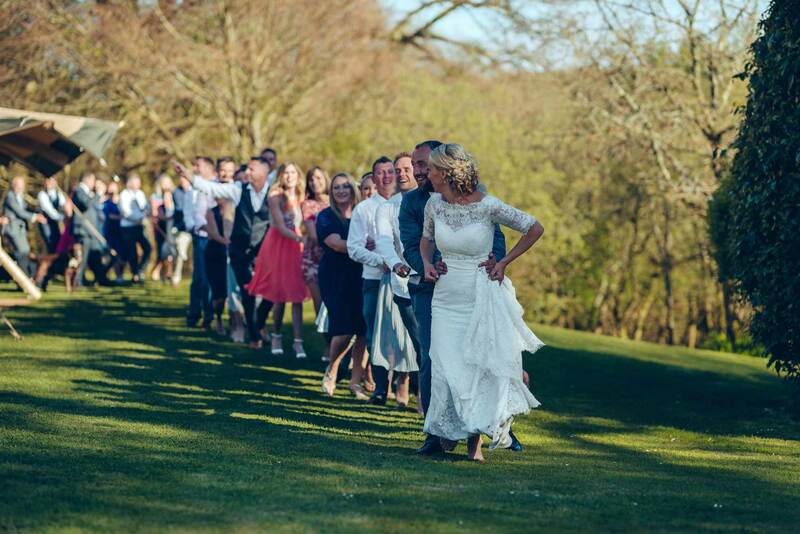 The guests enjoyed a sumptuous beef banquet that was catered by the very lovely Derek and Ding from Event Cuisine who cooked up a wedding breakfast that is sure to be remembered. The meal was topped off with mini cheesecakes, apple crumbles and chocolate mousses. 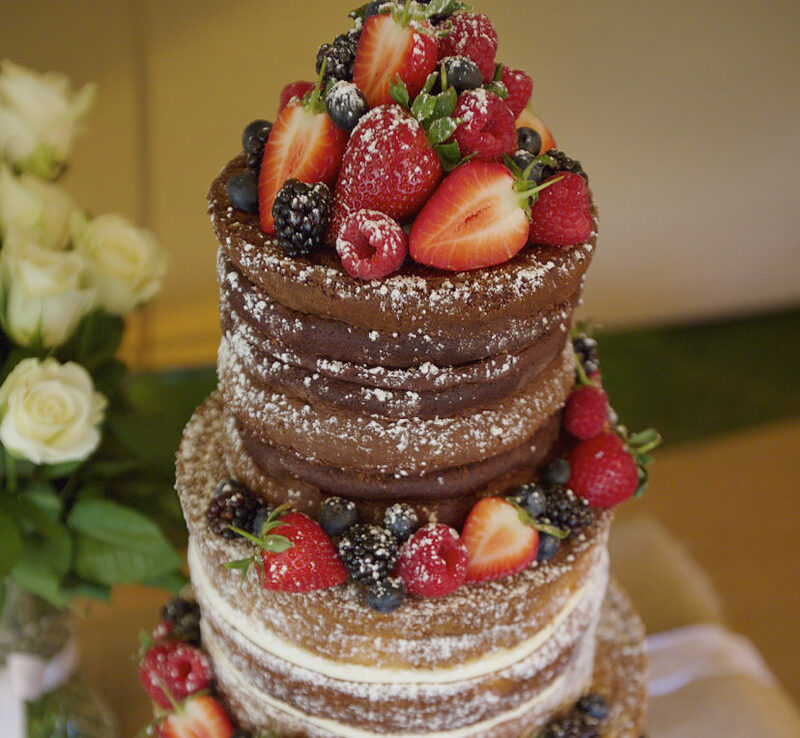 Issy and Dirk also celebrated their wedding day with the most beautiful naked wedding cake covered in a delicious variety of juicy berries, a stunning creation. This was enjoyed in the evening along with cheese and grapes and of course a dance. 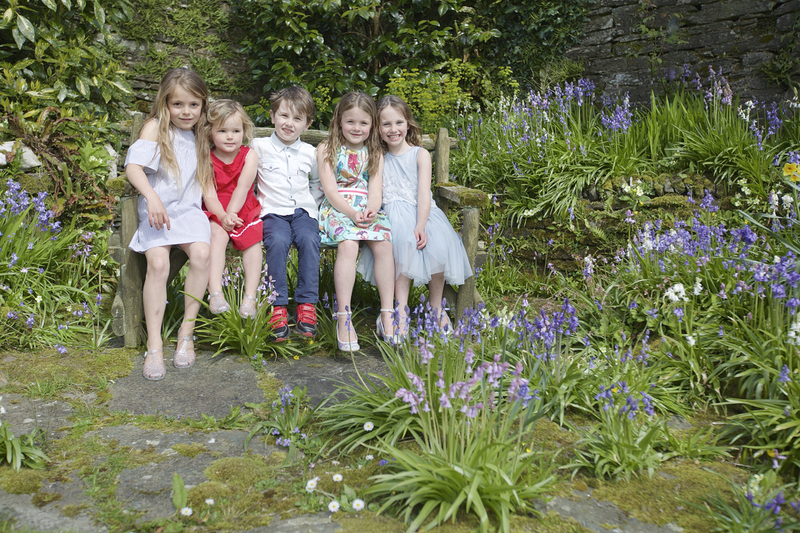 But all the fun wasn’t just for the adults, Issy and Dirk thought of everyone including the children, by planning a kids party to keep them happily entertained. 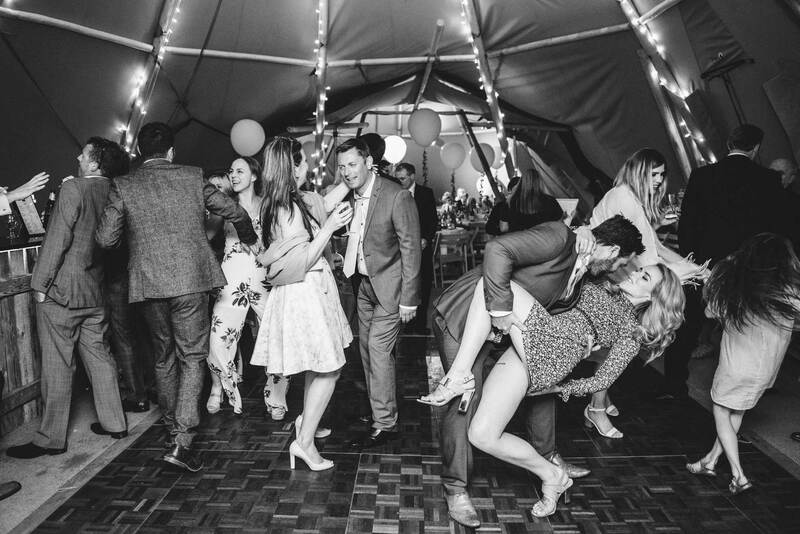 The party took place in the Ta Mill’s bunting-filled dining room, where lots of fun was had with colouring books and their very own food and drink that arrived in farmyard themed boxes. The fun carried on into the gardens where the children could explore Ta Mill’s orchard and pond, as well as play games on the grass in the sunshine. It’s safe to say the children were very happy and thoroughly entertained, as were their parents. 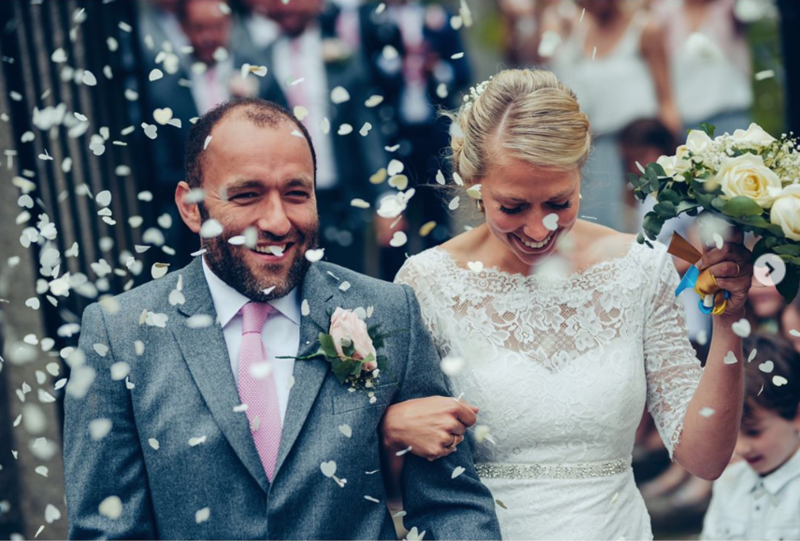 Issy and Dirk’s day was certainly something very special and we were honoured to be part it. We wish this very lovely couple a long and happy life together.